When you’re trying to choose a college for the coming fall, it’s easy to get frustrated. There’s just too much to consider. The faster you can narrow down the options, the sooner you can get things moving in the right direction. And one way to make this fast and easy for you is to use social media to help you choose. So how exactly will social media help you to research all those schools? And what should you be looking for? Take Facebook as your first port of call. After all, it was originally designed for recent graduates. Start by searching Facebook for the colleges that interest you – you’ll find that almost all of them have an official Facebook Page, and many also have unofficial Facebook community pages or groups. Get a feel for the place by looking at the official page first, but be sure to check out the unofficial pages too. That’s where you’ll find out what students and alumni really think of the school. A quick search on Twitter will probably net you a few comments on the organization, as well as any breaking news, which you can use to help guide your choice. Some colleges and universities are making full use of social media to attract attention from potential students and their parents. With so many Facebook Ads in the sidebar, and contests or paid-for promotional posts by colleges popping up in your News Feed, once you log into Facebook you may not even need to search for your favorite school – they’re reaching out instead of waiting for you to come to them. Don’t let the promotional stuff distract you from your mission. You don’t just want to read some sales copy about these colleges, you want to get the real-life opinions of the people who go there. 1. Lifestyle – do you see a lot of bright young students in the photos, or a lot of drunk party lovers? The lifestyle and atmosphere at your college needs to suit your personality, so that you can settle in and feel at home in academia. 2. 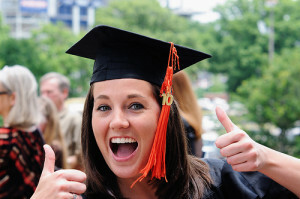 Performance – are you seeing a lot of updates and comments that mention good grades and graduation day? Or are they mostly about failures and academic disappointments? The college’s official student performance data is the most reliable, but social media helps you get a sense of how students view their own performance too. 3. Sentiment – how often do you see happy and supportive mentions of the college on social media, compared to the rate of unhappy comments? If the balance of the sentiment is negative, that could be a warning sign to look closer for underlying problems. Armed with the extra information you find on social media, you’ll be ready to make a genuinely informed choice of college or university. And don’t forget to have fun! About the Author: Sophie Lizard is an expert freelance blogger on career, technology and lifestyle topics; she’s currently researching the career of Gary Crittenden.